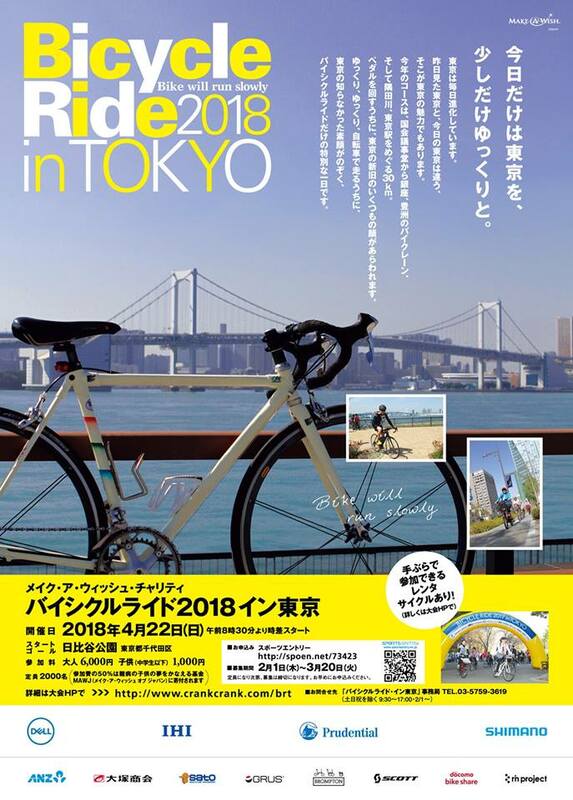 Join the 16th Annual Bicycle Ride in Tokyo event this April! Ride through the ever-changing landscapes of Tokyo and take in the scenery of urban sophistication. The 30 km course starts and ends at Hibiya Park and takes you through historical towns such as Ningyocho and Sumida River. Other notable landmarks include the National Diet Building, Ginza, Tsukiji, Harumi-oohashi, Fujimi-bashi, Toyosu, Echujima, Eitai-bashi, Tokyo Station, and the Imperial Palace Cycling Route. Don’t forget, half of your entry fees are donated to the Make-A-Wish Foundation, where you can help a child with life-threatening illnesses and make their wish come true. Run for a cause. Sign up before March 20, 2018!